By David Ponce on 09/17/13 • Leave a comment! Yes, it’s better to take pictures without the flash, or at the very least, without the basic pop-up flash. But if you’re in no position to adjust your ISO settings, and stabilize the camera for a longer exposure, you really have to. Thing is, there’s a very limited range to flashes, seeing as the light goes off in all directions. 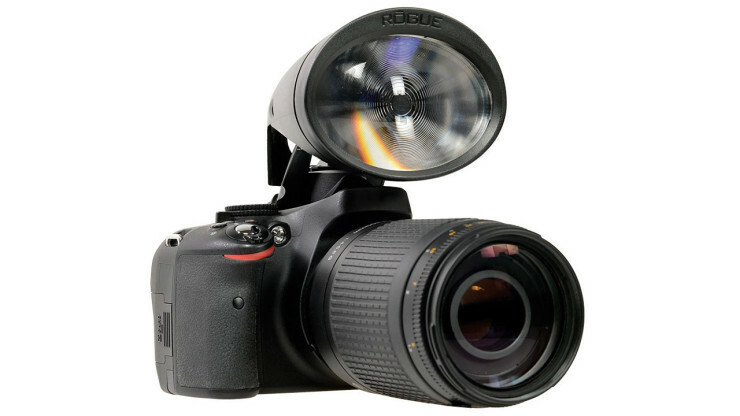 The Rogue Safari DSLR Pop-up Flash Booster uses a special Fresnel lens to focus the light from the existing flash, and project it outwards up to 8 times as far as normal. Used in conjunction with 100mm+ lenses, you should be able to catch a decent shot of the raccoons stealing your trash without even having to leave your front porch. It’s not compatible with ever model of camera, but if your device is a Canon or Nikon in APS-C or DX format DSLR built in the past five years, you should be good to go. It’s $35. By David Ponce on 07/29/13 • Leave a comment! Getting that perfect shot sometimes means putting the camera in an angle that doesn’t leave any room for your big head. It’s for situations like that that the Weye Feye adapter was created. 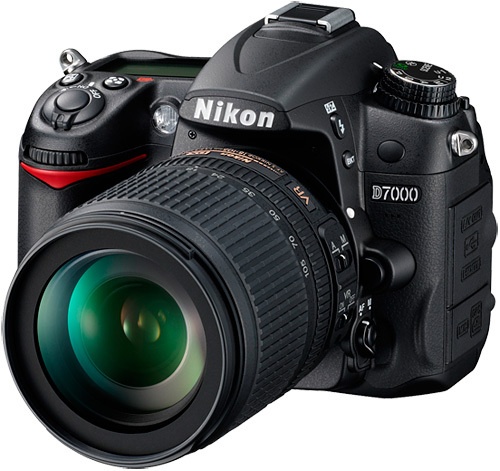 It connects to most Canon and Nikon dSLRs through the USB port, and allows you to sync up with your iPhone or Android handset running the associated app. Once connected, you have much more than a remote trigger. It’ll transmit the live view straight to your phone, allowing you to control most of the major camera settings at the same time. 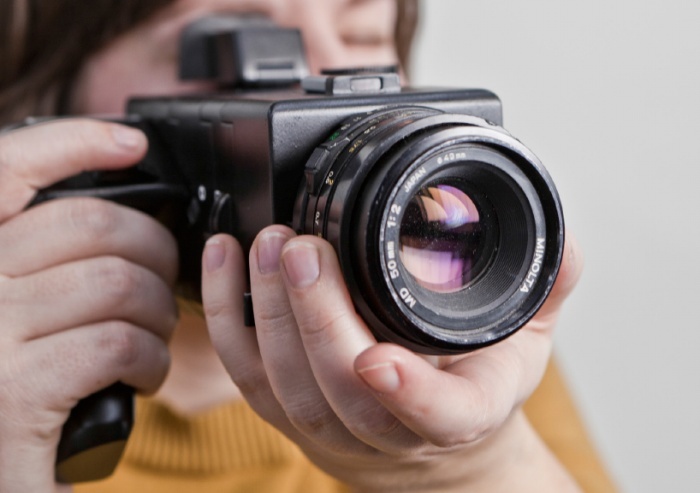 ISO, aperture, shutter speed, white balance and more can all be adjusted remotely, as you trigger your camera from up to 262ft (80 meters) away. You can also browse and download the photos you’ve already taken within the app’s gallery. Chances of missing that perfect shot are also diminished because of the 0.2 second latency, which the company claims is the lowest on the market. That, combined with an 8h-14h (depending on operation mode) battery life, and you have an indispensable accessory for any serious photographer. It’s roughly $332, with a September release in the UK. No word on stateside availability. By Hazel Chua on 05/20/13 • Leave a comment! Not all cameras are created equal. The same can be said for accessories. Photographers and hobbyists prefer different tools to create and capture their photographic masterpieces, which is why it’s so difficult to choose from only one brand because other lines might have more suitable options. With this in mind, a team from the University of Applied Science in Schwäbisch Gmünd, Germany created Aspekt, a modular mirrorless SLR camera system that lets users attach and use different accessories and older lenses that are not normally supported by SLR cameras. By David Ponce on 03/11/13 • Leave a comment! DSRLs are great, but they’re also delicate machines that don’t put up so well with rugged conditions. Or with being underwater. There are housings on the market to allow you to do your photography Bear Grylls-style, but they generally cost a pretty penny. And it’s not that the Outex Waterproof Housing you see above is dirt cheap, but with prices starting at $190, you can start taking pictures under 30+ feet of water for 1/10th of the price that some of the more professional grade housings cost. It works on pretty much any brand of camera and is a modular system that can be adapted for accessories, if you chose to use any. The fact that they’re opaque does mean you’ll have to remember where all the buttons are, but assuming you do, you can operate your camera at 100% functionality. By David Ponce on 03/06/13 • Leave a comment! 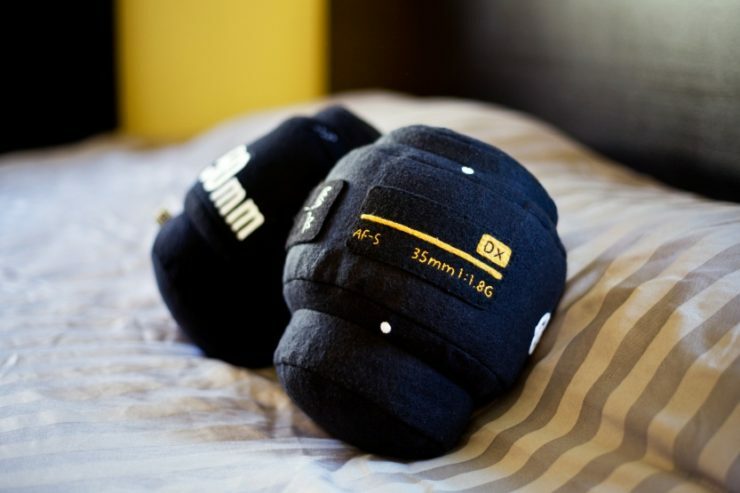 Ever wonder what it looks like inside an Nikon D4 as it’s shooting at 10 frames per second? Our puny little eyes would be hard pressed to discern anything at all, but the Phantom camera set at a leisurely (for a Phantom) pace of 1,920fps reveals a fascinating ballet of mechanical parts performing their dance at dizzying speeds. For each photo, the mirror flips up and the first curtain drops, exposing the image sensor for 1/200th of a second. Then, the second shutter drops to complete the exposure. Seeing this action in a GIF is fine, but to get a better sense of the speeds involved, you should hit the jump and check out the video with sound. By David Ponce on 05/03/12 • Leave a comment! Carrying a nice dSLR around in a protective bag is cool but it makes taking impromptu pictures a lot harder. Often, by the time you take the camera out, the moment is gone. 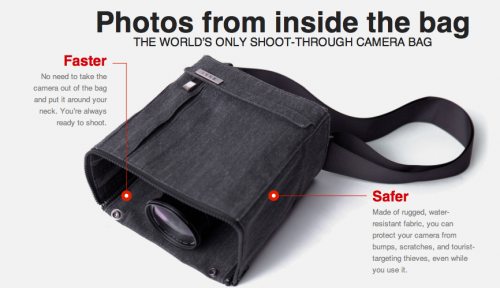 The Cloak bag aims to fix that issue by featuring a removable bottom that leaves the lens exposed while keeping most of the rest of the camera protected. And more importantly, cloaked. See, exposing an expensive camera in some environments is often an invitation to be forcibly separated from it. 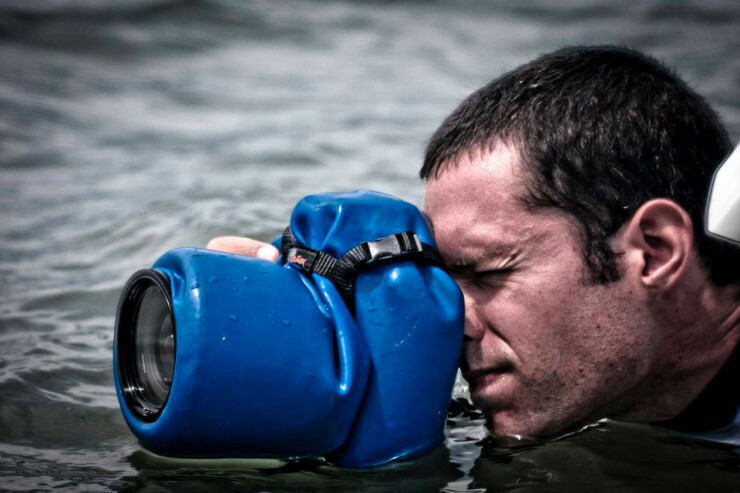 Being able to keep it hidden in its bag while taking shots is an invaluable ability. What’s more, you still can have access to all of the camera’s controls thanks to the Cloak’s versatile construction. It will conform to lenses of different lengths as well as allowing you to manually control them if you unzip part of the bottom panel. All this fun comes at a not unreasonable price of $69. DSLRs are vastly superior to their point-and-shoot brethren when it comes to the quality of the picture taken. Unfortunately there is one area where the DSLR will always fall short in comparison, and that’s portability. The nature of these cameras means that they are always going to be bulky. That’s okay, because we’re willing to sacrifice portability to get that perfect shot. Of course that doesn’t mean we can’t find easier ways to carry them around. This Loop from Luma is an interesting take on the camera strap. 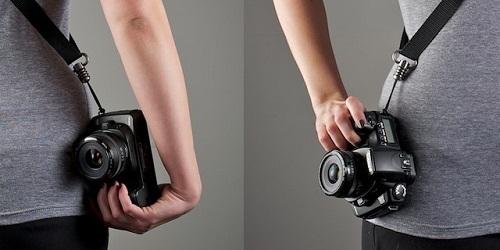 It’s designed as more of a sling, which is worn across the chest, allowing your camera to rest conveniently at your hip. 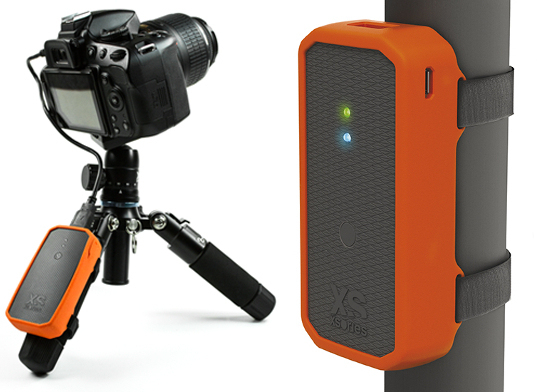 What’s more, is that there are a variety of ways that you can attach it to your camera. Sure, you can use the existing strap loops, but if those don’t suit your needs, you have other options. One attachment allows you to mount the strap using your tripod mount (while not blocking access to your mounting screw). Another puts the point of contact on the lens (if you’re using a large telephoto lens). Comfort and convenience in the form of this strap will run you around $70.